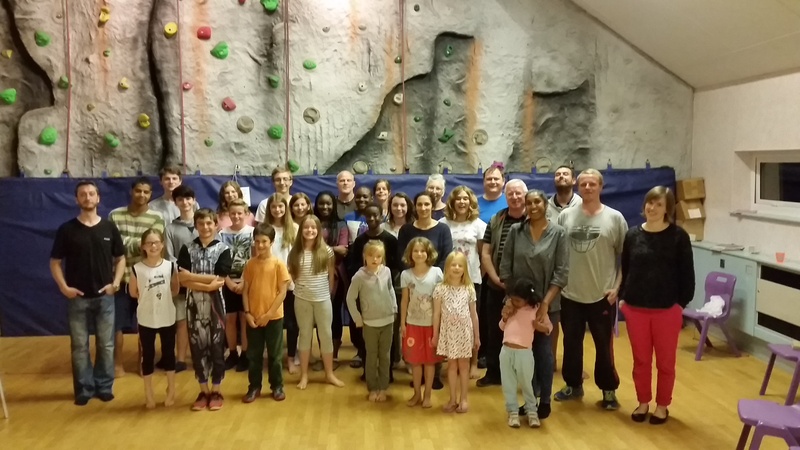 From the evening of Friday, July 28 to Sunday, Aug. 6, 25 campers aged 4 to 18 and 14 staff made their home at the Peak Centre in Edale in the beautiful Hope Valley in Derbyshire, England. Other visitors brought the total community to around 42 individuals. Campers and staff at the UYC camp in British Isles. In addition to campers from various parts of the United Kingdom and the Isle of Man, there were also three from Switzerland, two from Germany and two from Italy. This year’s theme was “The Game of Life,” with activities aimed at exploring how God’s ways fit into modern living. Disappointing summer weather limited excursions into the surrounding countryside, but campers indulged in sports and games, archery, fencing and, for the younger ones, bushcraft. The older campers went out for a full day of abseiling and rock climbing, while the younger ones learned about the use of leaven in breadmaking, sampling the results for lunch, then trying out the centre’s indoor climbing wall. Trips away from the Centre included a walk into the surrounding hills, a visit to the city of Sheffield for swimming and a trip to the nearby spa town of Buxton for sight-seeing, shopping and a picnic in the park (in the rain!). Bible lessons covered prayer, the Ten Commandments, the enemy and the armor of God. The latter included leading the campers in making five items for one of the youngest children to model, although the plastic sword was separately procured specifically for the purpose! Less formal interactions between the older teen campers and adults rounded off the week.